Leaves of Bay plant, Laurus nobilis, have long been used in cooking to flavour meat and vegetable dishes, sauces, marinades, bouquet garni, custards, etc. – an essential ingredient in Mediterranean cuisine. Traditional use of leaves in Europe and in India as a mild insecticide. Leaves deter cockroaches and weevils in cupboards. A folk remedy in Europe for indigestion and hysteria. Leaves also used as a poultice to treat rheumatism. Modern folk use in America as a remedy for adult diabetes. 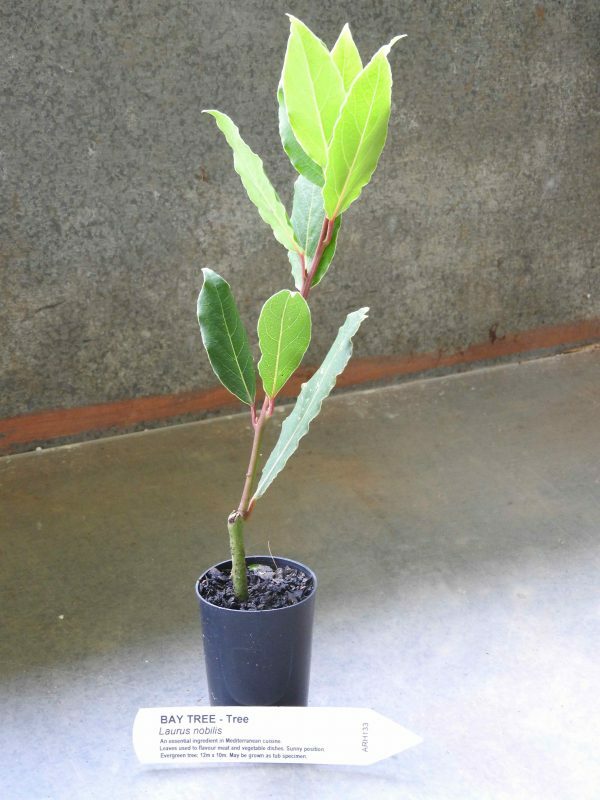 Also known as Grecian Laurel and Sweet Bay. Bay plant is a native of Greece and is adaptable to most soils in an open, sunny position. Frost resistant but drought tender. An evergreen tree that grows to a height of 12m x 10m. May be grown as tub specimen.